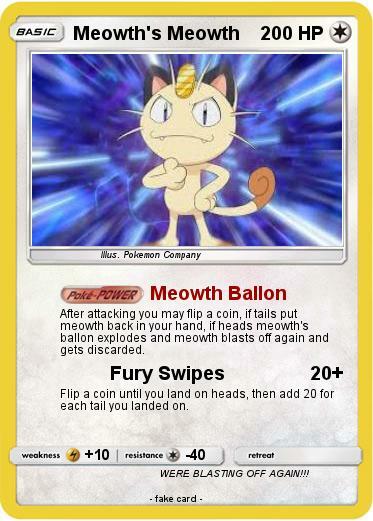 After attacking you may flip a coin, if tails put meowth back in your hand, if heads meowth's ballon explodes and meowth blasts off again and gets discarded. Flip a coin until you land on heads, then add 20 for each tail you landed on. Comments : WERE BLASTING OFF AGAIN!! !